The first time adult coloring books swept america, they weren’t therapeutic… they were satiric. In the early 1960s, the first wave of parody coloring books used the form to mock the culture of the day. Here are five prime examples that took on the politic conflicts of that era. Most of these have been out of print for half a century. JFK Coloring Book – a genuine New York Times-certified best seller, this look at the Kennedy White House, the Kennedy friends, and especially the Kennedy family contains beautiful art by Mort Drucker, master caricaturist from Mad. 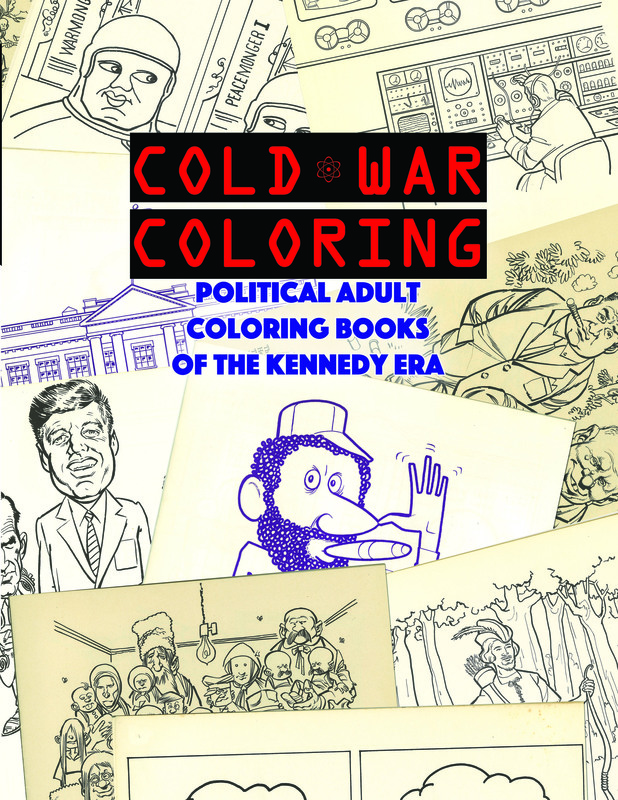 New Frontier Comic Coloring Book – an all-out attack on the Kennedy administration, produced by Arthur J. Weaver, grandson of a Republican congressman, son of a Republican governor, brother of a Republican congressman and Republican gubernatorial candidate himself, and thus a personal expert on political dynasties. Nikita Sergeyevich Khrushchev Coloring Book – a look at the notorious but colorful Soviet leader, written by Amram Ducovny, father of actor David Duchovny. 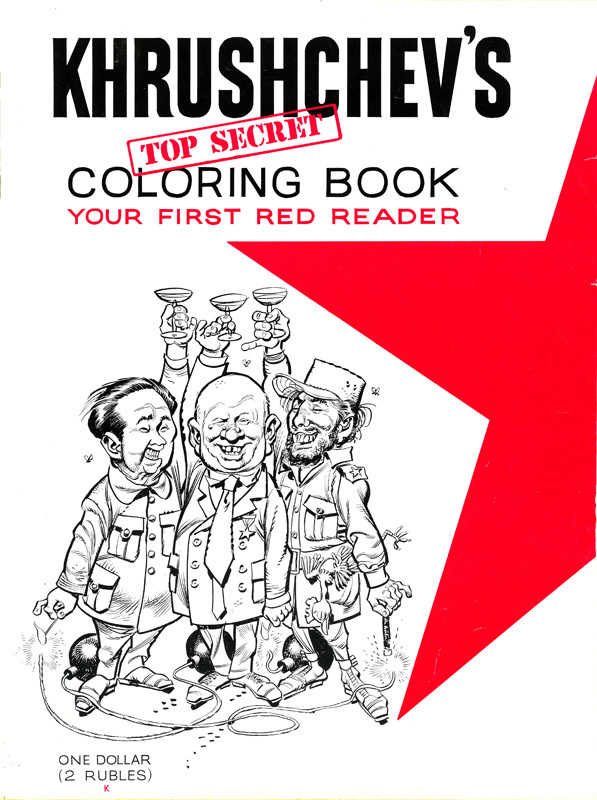 Khrushchev’s Top Secret Coloring Book – with Gene Shalit on the writing and Jack Davis of Mad fame handling the art, the communists take it on the chin. 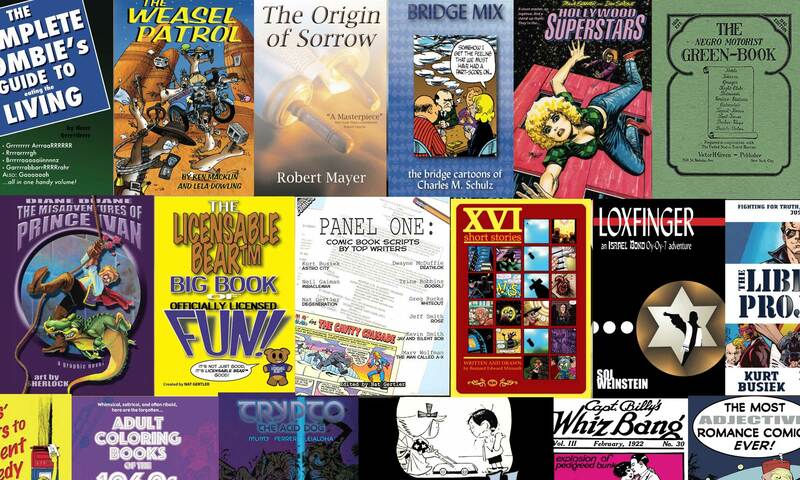 8.5″x11″, 148 pages, black and white, paperback, list price $9.99 US. 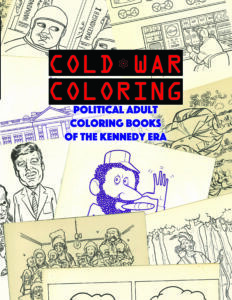 Order Cold War Coloring from Amazon.com! 8.5″x11″, 24 pages, black and white paperback, list price $6.00. 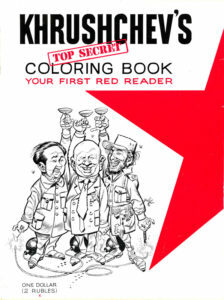 Order Khrushchev’s Top Secret Coloring Book from Amazon.com!